The ballot for the November 5th election is shown below. 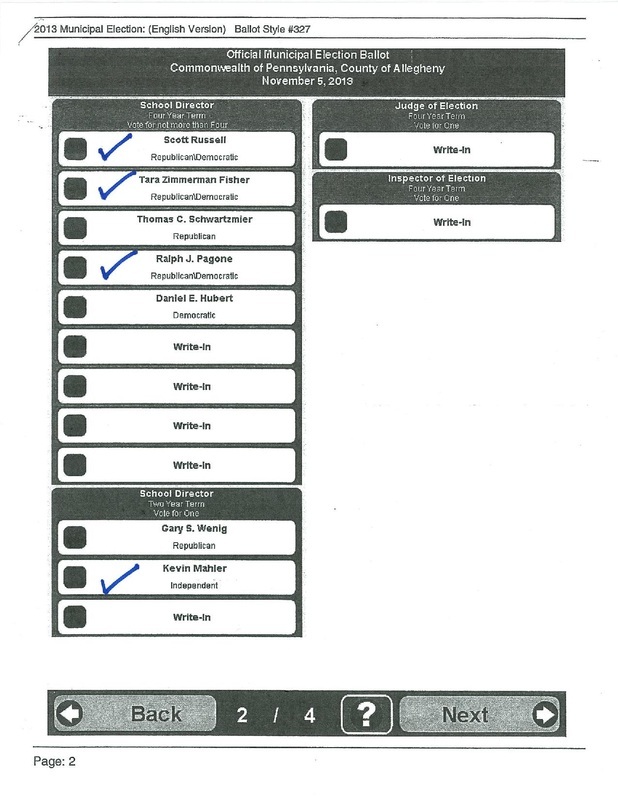 The candidates endorsed by SaveNASchools have a check mark next to them. Scott Russell, Tara Fisher and Ralph Pagone are running for 4-year terms. Kevin Mahler is running for a 2-year term. Please share this with other NA residents, friends, and family members. SaveNASchools encourages residents to attend the school board meeting this Wednesday, May 15th at 7pm. The meeting will be held in the Central Administrative Office Board Room. This is the last board meeting before the May 22nd proposed vote to close Peebles. It is also the last board meeting before the May 21st primary election. Residents interested in registering to speak can do so by contacting School Board Secretary Rose Mary Ryan at rryan@northallegheny.org or 412-369-5437. Over the last 12 years, the district has adhered to an education model that kept elementary class sizes below the district’s guidelines (with only a few exceptions). This year, the district abandoned its successful education model by hiring fewer teachers and allowing class sizes to increase. 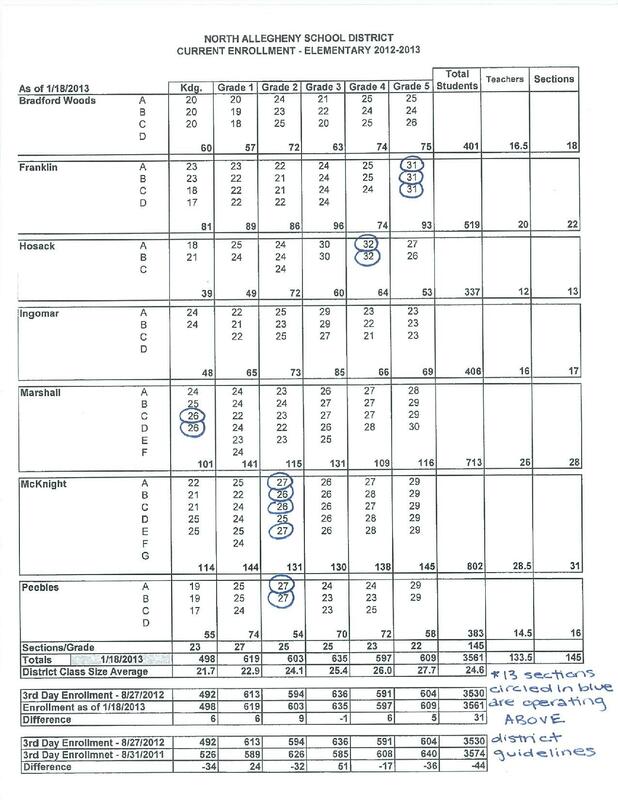 As a result, there are currently 13 elementary sections operating above the district’s class size guidelines. To correct class size, the administration said it would need to add 10-14 elementary sections. However, the administration only expects to have 14 spare classrooms after closing Peebles and expanding McKnight. If a building is closed, the district will not have enough classrooms to keep elementary class sizes below the district’s guidelines. The only way the district has enough capacity to close a building is if it accepts higher class sizes for our current elementary school students than what has been provided to the district’s elementary school students over the last 12 years. Thus, if a building is closed, the model in place for the past 12 years, which kept elementary class sizes below the district’s guidelines, will no longer be adhered to with respect to our current elementary school students.